Have you heard? 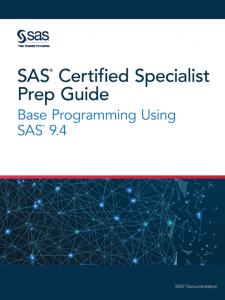 SAS recently announced a new practical programming credential, SAS® Certified Specialist: Base Programming Using SAS® 9.4. This new practical programming credential is different than our previous exams. Now it requires you to take a performance-based exam, in which you access a SAS environment and then write and execute SAS code. Practical, right? At the end, your answers are scored for correctness. This new SAS Certified Specialist credential will run in parallel with the current SAS Certified Base Programmer credential until June 2019. So make sure to check out the complete exam content guide for a list of objectives that are tested on the exam! 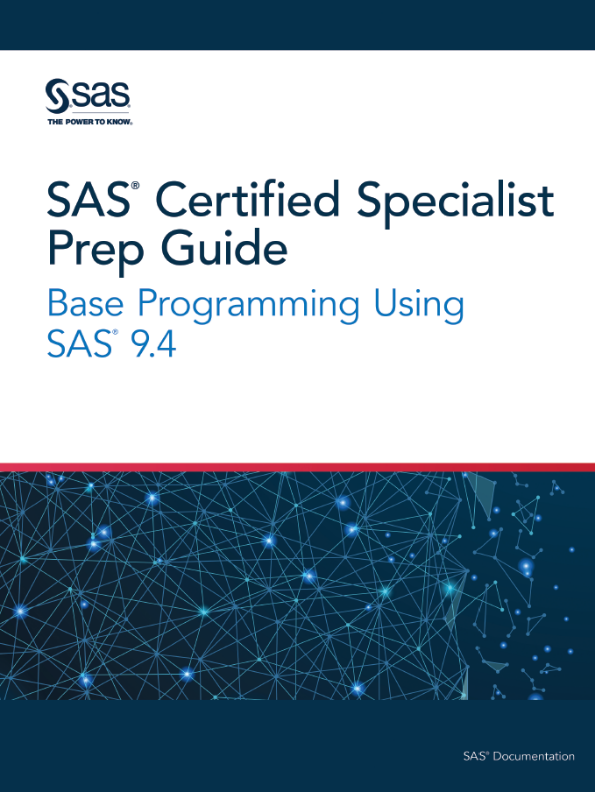 SAS is also releasing an accompanying certification guide to help you prepare for the new programming credential: SAS® Certified Specialist Prep Guide: Base Programming Using SAS® 9.4. This new certification guide has been streamlined to remove redundancy throughout the chapters and has been aligned with the courses, SAS® Programming 1: Essentials and SAS® Programming 2: Data Manipulation Techniques, along with the exam content guide. The new certification guide also includes a workbook that provides programming scenarios to help you prepare for the performance-based portion of the exam. Make sure to also review the SAS® 9.4 Base Programming Exam Experience Tutorial to help you prepare! •	Removal of INFILE/INPUT statements. These statements are no longer taught in SAS® Programming 1 and SAS® Programming 2 courses or tested in the exam. Thus, these statements have been replaced with the SET statement and the IMPORT procedure. •	Removal of arrays. Arrays are no longer taught in SAS® Programming 1 and SAS® Programming 2 courses or tested in the exam. •	Addition of the TRANSPOSE and EXPORT procedures, as well as macro variables. These additions are tested and are taught in the SAS® Programming 1 and SAS® Programming 2 courses. •	Updating of existing examples and the addition of more annotated examples that are easier to follow and have better quality graphics. These changes help to improve the readability of examples, and there is a closer relationship between the sample questions in the book and the questions that appear on the actual exam. •	Installation of sample data, and the way you work with SAS libraries has been simplified. •	A new companion piece, the Quick Syntax Reference Guide, is also available for download. For even more programming practice check out Ron Cody’s Learning SAS by Example. This is full of practical examples, and exercises with solutions which allow you to test your programming skills for the exam. Not ready for the certification exam just yet? You can also browse our books for getting started with SAS. There you will find, of course, The Little SAS Book: A Primer 5th Edition and Exercises and Projects for The Little SAS® Book, Fifth Edition. Both are great guides for new users wanting to learn SAS and practice before getting to the New Base Programming Specialist Exam! Thinking about getting SAS® certified? Check out the new SAS certification guide! was published on SAS Users. In this code, the first INPUT statement retrieves the value of REC_TYPE. The trailing @ line-hold specifier ensures that an input record is held for the execution of the next INPUT statement within the same iteration of the DATA Step. It may not be used exactly as written, but the point is you need to capture the filed(s) of interest and stay on the same row. The second INPUT statement reads the whole raw file record into the _infile_ DATA Step automatic variable. Depending on the value of the REC_TYPE variable assigned in the first INPUT statement, SELECT block toggles the FILE definition between one of the four filerefs, out1, out2, out3, or out4. How to split a raw file or a data set into many external raw files was published on SAS Users. 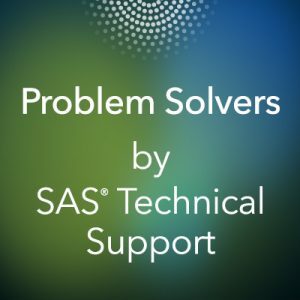 Several years ago, I wrote a paper about the top-ten questions about the DATA step that SAS Technical Support receives from customers. Those topics are still popular among people who contact us for help. In this blog, I’m sharing some additional questions that we’re asked on a regular basis. 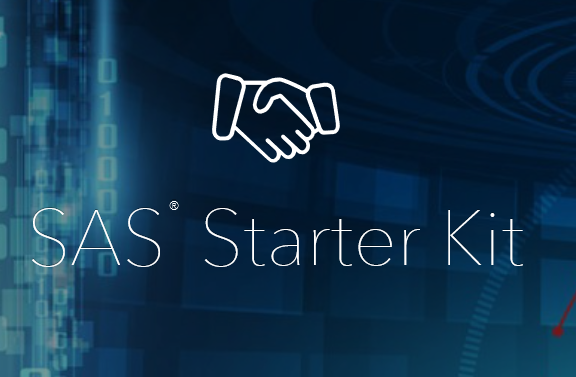 Those questions cover SAS dates, arrays, and how to reference local PC files from SAS® Enterprise Guide® and SAS® Studio when those applications connect to a SAS® server in UNIX operating environments. Let’s begin with dates. We regularly hear customers say something similar to this: "I have a date, but I’m not sure how to use it or whether it’s even a SAS date yet." No worries--we can figure it out! A SAS date is a numeric variable whose value represents the number of days between January 1, 1960 and a specific date. For example, assume that you have a variable named X that has a value of 12398, but you’re not sure what that value represents. Is it a SAS date? Or does it represent January 23, 1998? To determine what the value represents, you first need to run the CONTENTS procedure on the data set and determine whether the variable in question is character or numeric. 3    z           Num       8    Z5. If X is a numeric variable, is a format shown in the FORMAT column for that variable? In this case, the answer is no. 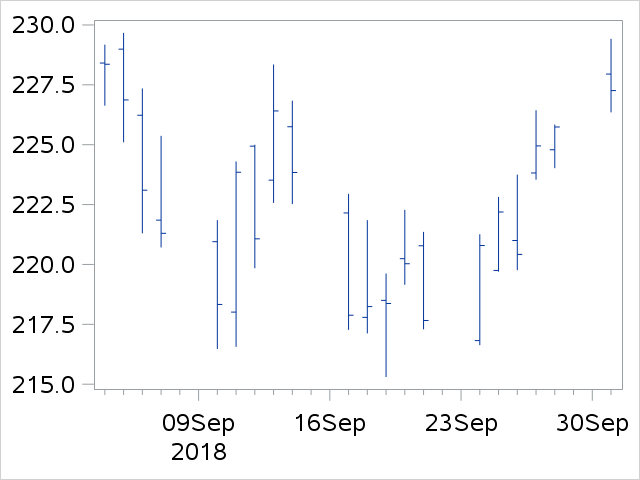 However, if the variable is numeric and there is no assigned format, this might be a SAS date that needs to be formatted to make sense of the value. If you run a simple DATA step to add any date format to that SAS date value, you will see that 12398 represents the date December 11, 1993. The PROC PRINT output from this step shows that the variable Y has a formatted value of 23JAN1998. The format that you assign to the variable can be any SAS format or custom-date format. If the original variable is a character variable, you can convert it to a SAS date by using the INPUT function and the MMDDYY6. informat. Many customers aren’t quite sure that they understand how to use arrays. Arrays are a common construct in many programming languages. Arrays can seem less complex when you remember that they are a temporary grouping of variables. When you perform the same operation on multiple variables, you have less to program if you can refer to a group of variables by a single name. You simply execute a DO loop that processes each variable in turn, and the task is complete! 1. The variables X, Y, and Z are loaded into an array named VARS, which means that they can be referred to as VARS(1) – VARS(3) or by the variable names X, Y, and Z. 2. A multidimensional array named ALL is created with twelve variables. The first number in parentheses represents rows, and the second represents columns. 3. A DO loop processes each variable in the VARS array. 4. 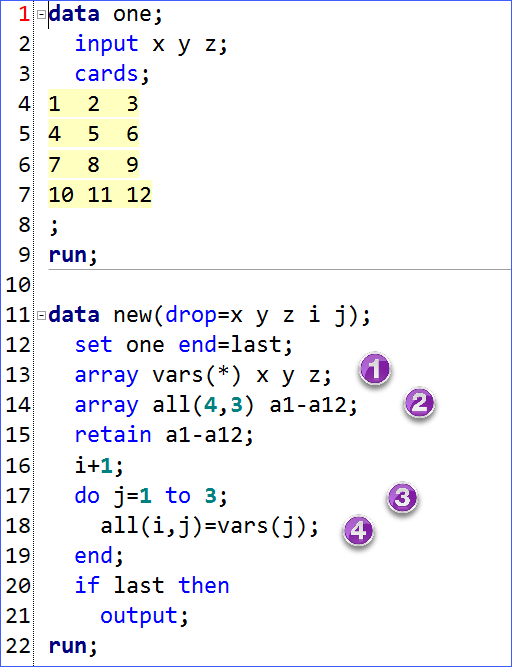 The ALL array is populated one observation at a time by the value of I and the value of J as the DO loop increments. When I began working in Technical Support many years ago, the only interface to Base SAS® software was the Display Manager System, which has separate Program Editor, Log, and Output windows. Now, you can run SAS in various ways, and many of our customers use SAS Enterprise Guide and SAS Studio as their interfaces. One of the most frequently asked questions from customers is about how to access local PC files from these applications that access SAS through a UNIX server. 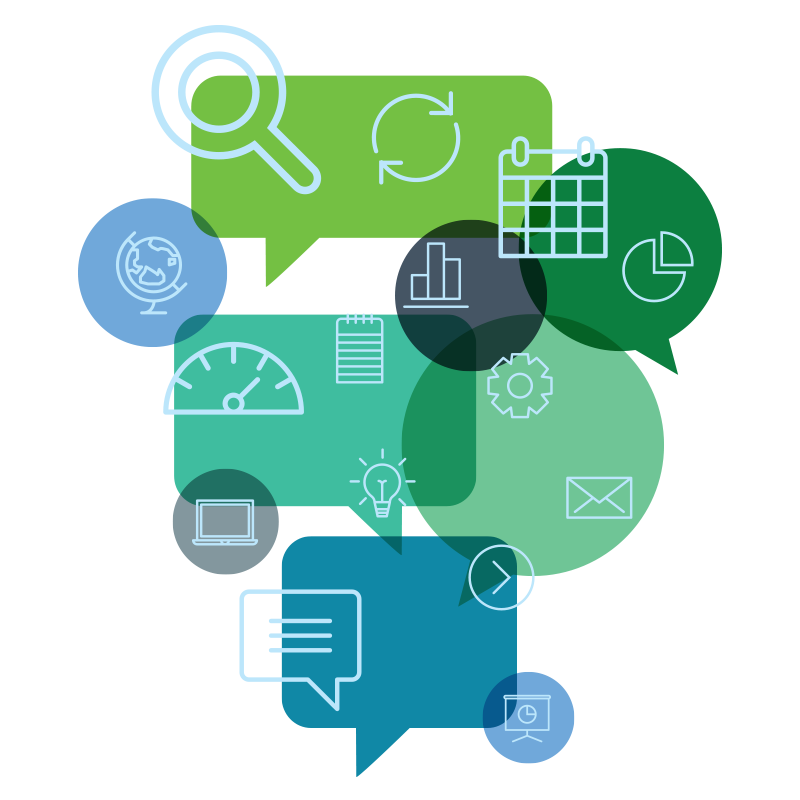 SAS Enterprise Guide offers built-in tasks to upload and download data sets and other files. You can find these tasks on the Tasks->Data menu. 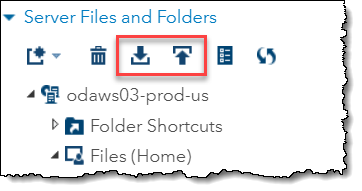 If you’re using the SAS Studio interface, you can upload and download files between the server and your PC. 1. Select the file that you want to download from the folder tree. 2. Click the download button and save the file according to the information in your browser dialog box. 1. Select the folder to which you want to upload the files and click the upload button. 2. In the Upload Files window, click Choose Files to browse for the files that you want to upload. 3. Select one or more files from your computer and click Open. The selected files are displayed as well as their size. An error message is displayed when you try to upload files where the total size exceeds 10 MB. 4. Click Upload to complete the upload process. The three topics that are discussed here don't represent new features or challenges. However, these topics generate many calls to Technical Support. 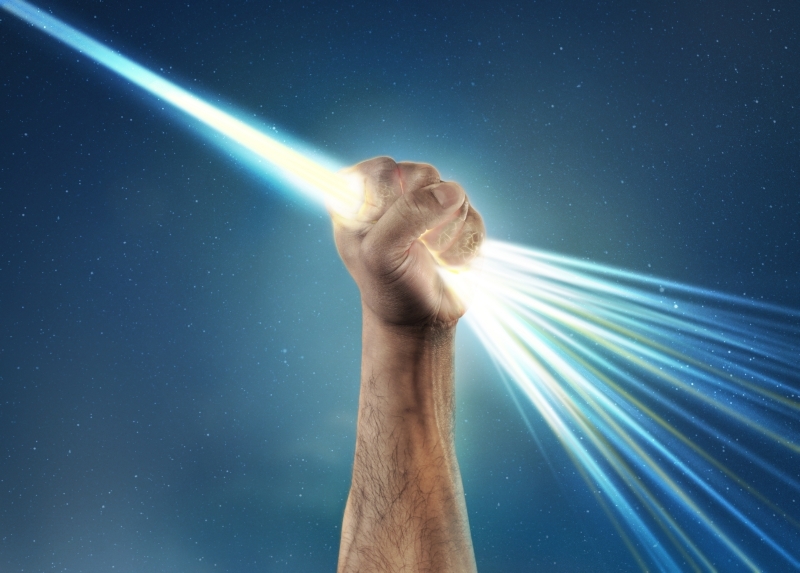 It's a reminder that even as SAS continues to add new features and technology, we still need to know how to tackle the basic building blocks of our SAS programs. FAQs about SAS dates, arrays and managing local PC files was published on SAS Users. Data in the cloud makes it easily accessible, and can help businesses run more smoothly. 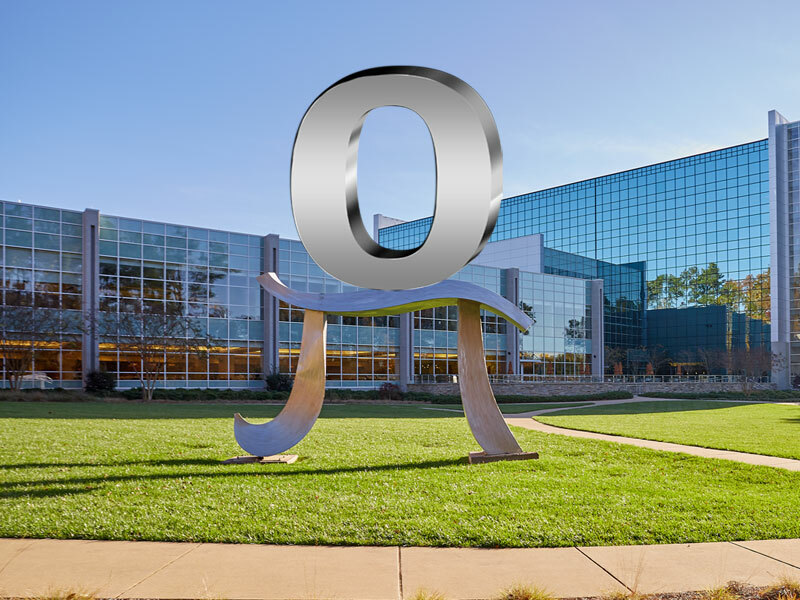 SAS Viya runs its calculations on Cloud Analytics Service (CAS). David Shannon of Amadeus Software spoke at SAS Global Forum 2018 and presented his paper, Come On, Baby, Light my SAS Viya: Programming for CAS. (In addition to being an avid SAS user and partner, David must be an avid Doors fan.) 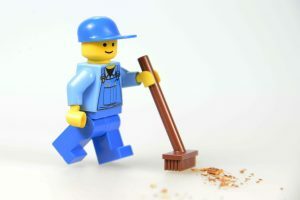 This article summarizes David's overview of how to run SAS programs in SAS Viya and how to use CAS sessions and libraries. If you're using SAS Viya, you're going to need to know the basics of CAS to be able to perform calculations and use SAS Viya to its potential. SAS 9 programs are compatible with SAS Viya, and will run as-is through the CAS engine. Use a CAS statement to kick off a session, then use CAS libraries (caslibs) to store data and resources. To start the session, simply code "cas;" Each CAS session is given its own unique identifier (UUID) that you can use to reconnect to the session. What CAS sessions do I have running? CAS libraries (caslib) are the method to access data that is being stored in memory, as well as the related metadata. When accessing your CAS libraries, remember that there are multiple levels of scope that can apply. "Session" refers to data from just the current session, whereas "Global" allows you to reach data from all CAS sessions. Existing SAS 9 programs and CAS code can both be run in SAS Viya. 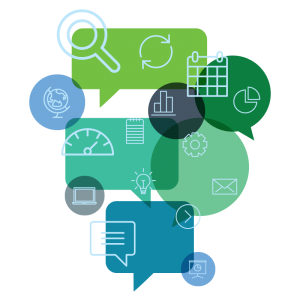 The calculations and data memory occurs through CAS, the Cloud Analytics Service. Before beginning, it's important to understand a general overview of CAS, to be able to access CAS libraries and your data. For more about CAS architecture, read this paper from CAS developer Jerry Pendergrass. To close out his paper, David outlined a small experiment he ran to demonstrate performance advantages that can be seen by using SAS Viya v3.3 over a standard, stand-alone SAS v9.4 environment. The test was basic, but performed reads, writes, and analytics on a 5GB table. The tests revealed about a 50 percent increase in performance between CAS and SAS 9 (see the paper for a detailed table of comparison metrics). 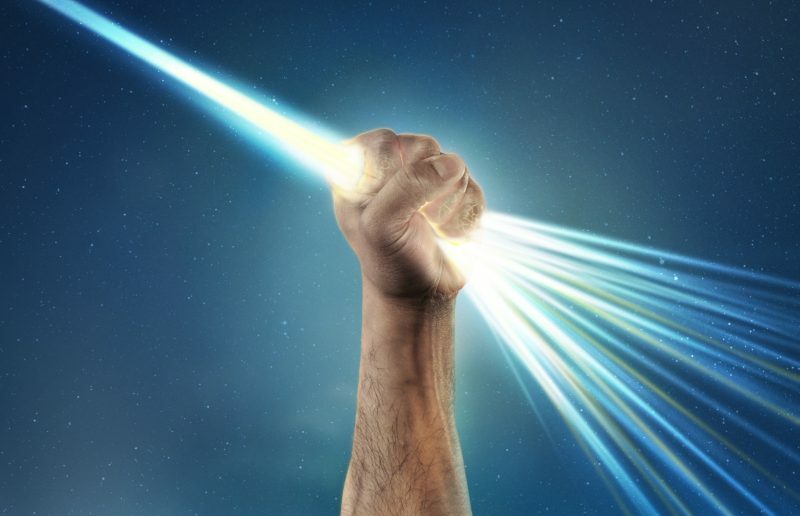 SAS Viya is engineered for distributive computing (which works especially well in cloud deployments), so more extensive tests could certainly reveal even further increases in performance in many use cases. A quick introduction to CAS in SAS Viya was published on SAS Users.